In our business journeys eBrief, we looked at what constitutes a business journey and what expenses you’re entitled to claim. 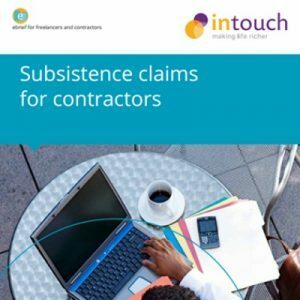 In this eBrief, Intouch Accounting, the personal online accounting adviser for contractors and freelancers, discusses the reimbursement of subsistence expenses. What options are available to contractors? What if you work late or start early… can you claim for the additional meals? How does the scale rates system work? And do you need to keep all your receipts? To apply a flat rate expense claim, known as a “scale rate” (without the need to provide receipts).. When and how can you claim actual expenditure? Keep proper records of the expenditure. A dispensation is an agreement between HMRC and the company that allows the company to reimburse the employee (you) for allowable business expenses without then having to report those expenses on the individual’s P11D. Claiming the actual amount you spend involves obtaining and keeping receipts on file, although you can keep scanned copies rather than the originals if you prefer. These costs are then claimed as expenses from your employer, being your company, and reimbursed to you each month. Each year any such expenses are reported to HM Revenue & Customs (HMRC) via a Form P11D – Return of expenses payments and benefits. The details from the P11D then have to be added to your tax return as allowable expenses to prevent HMRC assuming they are benefits and adjusting your tax code accordingly. If your tax return is not completed quickly enough after the P11D then HMRC will adjust your tax code anyway, and you’ll need to call them to get it amended back again! Reporting these expenses on your P11D can be avoided if the company has a dispensation from HMRC. A dispensation is an agreement between HMRC and the company that allows the company to reimburse the employee (you) for allowable expenses without then having to report those expenses on the individual’s P11D. This is turn prevents erroneous tax code changes, and saves time all round. In April 2009 HMRC introduced a system of scale rates that employees could use instead of claiming for actual amounts spent whilst on a business journey. A cost still needs to be incurred, but the employee doesn’t need to keep receipts. He simply needs to be able to prove a business journey took place. In order to use scale rates an employer must have agreed a dispensation with HMRC, and that dispensation must apply to the tax year in which the scale rates are claimed. The dispensation application form is simple to complete and your contractor accountant should be able to assist you with it. In order to use scale rates, a contractor company must have agreed a dispensation with HMRC, and that dispensation must apply to the tax year in which the scale rates are claimed. The dispensation application form is simple to complete and your contractor accountant should be able to assist you with it. How does the “scale rates” system work? Up to £5.00 can be claimed where the contractor leaves home earlier than usual (and before 6am) and has incurred the cost of breakfast taken away from home. Up to £5.00 may be claimed every day, where the contractor has been away from home for a period of at least five hours and has incurred the cost of a meal. Up to £10.00 may be claimed every day, where the contractor has been away from home for a period of at least ten hours and has incurred the cost of several meals. Up to £15.00 may be claimed every day, where the contractor has to work later than usual (finishing work after 8pm having worked a normal day), and therefore is assumed to have needed to buy a meal that the contractor would usually have had at home. If you claim an allowance under the five or ten hour rule the late meal allowance can still be paid if you finish work after 8pm. The early starter and late finisher rates are for use in exceptional circumstances only and are not intended to be used with regular early or late work patterns. The scale rates are the maximum amounts that can be claimed if you choose to use this system. If a higher amount is paid, without agreeing a tailored scale rate with HMRC, the excess will be subject to tax and NI. Special scale rates apply for overseas travel. A list of overseas subsistence scale rates for each country can be obtained from HMRC or your contractor accountant. When is the use of scale rates not allowed? The scale rates cannot be paid when you’re not travelling on a business journey. This would include a journey that involves ordinary commuting (or is similar to ordinary commuting), or one deemed to be private travel. Additionally, no payment should be made if you do not actually incur an expense on meals after leaving home, even if the journey was a qualifying business journey. This means that if you take a packed lunch from home you are not entitled to then claim the scale rates. Contractor companies do not have to use the benchmark rates; alternatively they can reimburse the actual cost or apply to HMRC to agree specific scale rates appropriate for their business’ needs. In the current climate a higher scale rate is unlikely to be approved unless you are able to provide proof that your subsistence costs are, on average, a higher amount for all employees. What records would a contractor company need to keep? A company needs to keep sufficient records to be able to demonstrate that the contractor (employee) is entitled to the payment. Therefore, the company and contractor should keep a record of the trip – where the contractor went and why (you should already keep these records if you’re claiming mileage). What about if I’m away on business overnight? The scale rates only apply to daily subsistence expenses. There are separate rules if you are away overnight. Actual costs for hotels can be claimed, but in addition a flat sum for “Incidental Overnight Expenses” can be claimed too. This allowance is to cover expenses of a personal nature, for example newspapers, laundry or home telephone calls. £10 per night for overnight stays outside the UK. This special exemption for incidental overnight expenses is designed to reduce the burden of identifying and reporting to HMRC for such small amounts. Be warned, there is no relief for expenses that are not reimbursed. You must actually make the claim and the company must reimburse you. Actual costs for hotels can be claimed, but in addition a flat sum for “Incidental Overnight Expenses” can be claimed too. This allowance is to cover expenses of a personal nature, for example newspapers, laundry or home telephone calls. Do I need to report Incidental overnight claims? Incidental overnight expenses don’t need to be included in a dispensation and, provided they are in line with the rates above, don’t need to be reported on your P11D. Provided a trip can be defined as a business journey then all costs associated with the trip are allowable, with no reduction necessary for the savings you make in being away from home and, generally, regardless of the actual extent of the cost. To provide additional flexibility you can ask your contractor accountant to assist in applying for a dispensation from HMRC to enable you to use scale rates where they are more beneficial or appropriate. It is possible to pick and choose different policies for each expense claim, provided that your company has a dispensation in place. When subsistence expenses are incurred it’s best to claim the scale rate if that would be more than the actual amount spent. If, however, the actual expense is more than the scale rate, then keep the receipt and claim the actual cost. In our next eBrief, “Car Expenses”, we will be examining the claiming of mileage costs in similar detail. 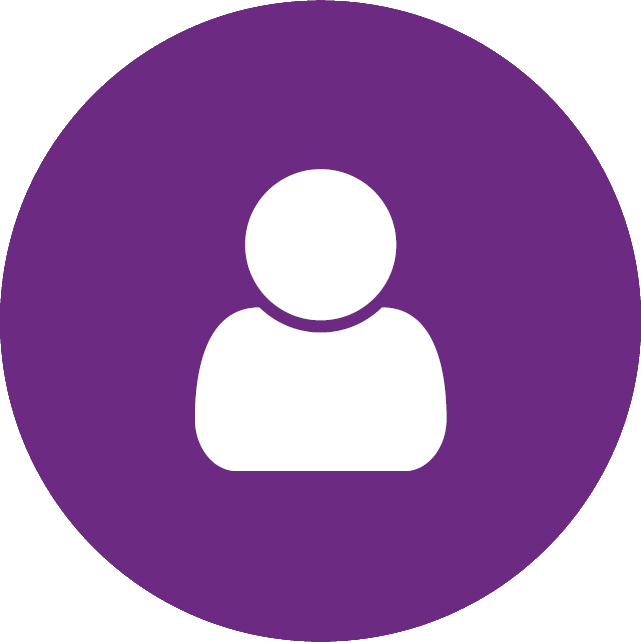 We have an experienced friendly team who can set up a company for you, manage your accounts and provide ongoing advice in relation to expenses, wages and taxes. Giving you the opportunity to just focus on your contract. As a Intouch Client you also get 24/7 access to our innovative Client Portal, which saves you time when managing expenses and invoices and lets you know where you stand at all times. You get all this for a monthly fixed fee.